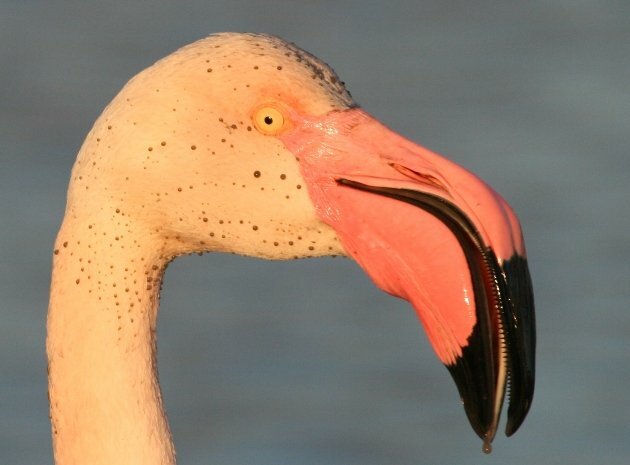 The bill of the Greater Flamingo is a marvel of nature that would make any baleen whale turn pale with envy. 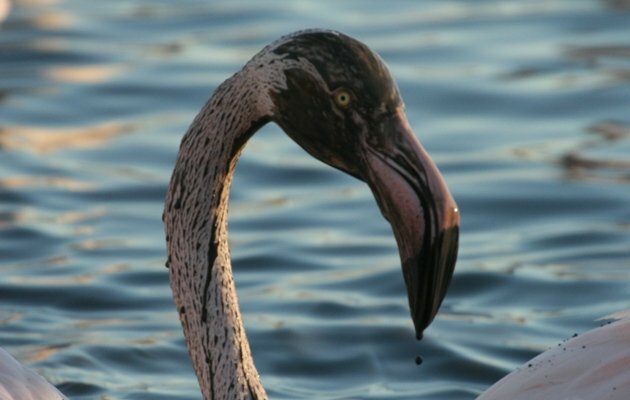 Indeed, they are the avian equivalent to baleen whales, feeding exclusively on brine shrimp and blue-green algae using their highly specialized bills as filter devices. 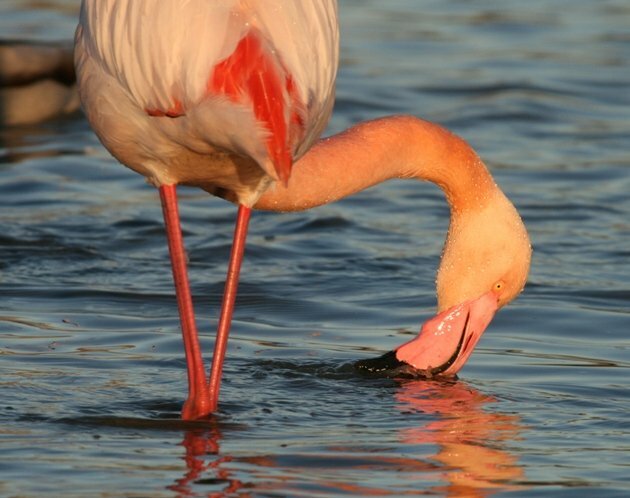 The long legs and neck allow them to feed near the ground in relatively deep water or near the water surface, depending on where the largest concentration of food is found. 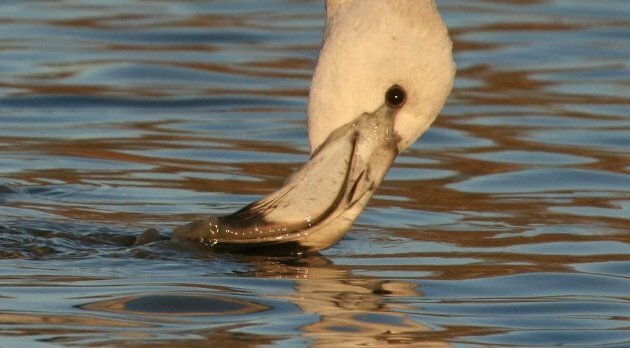 When feeding, the bill is held downwards, which puts the bent tip of the bill in a horizontal position. 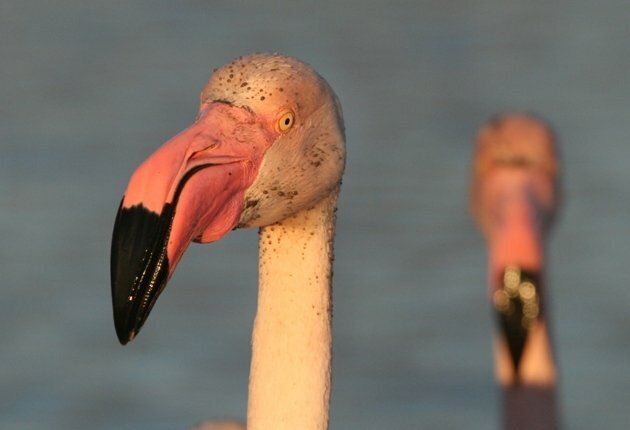 This upside-down way of using their bill is another unique feature of the flamingos. Water is then sucked into the mouth at the tip section of the bill through a grid of lamellae positioned along the mandibles. This grid keeps the fat chunks of dirt from entering the mouth. The large tongue with its rough surface then picks the food out of the muddy water, which is then pressed out near the corner of the bill. 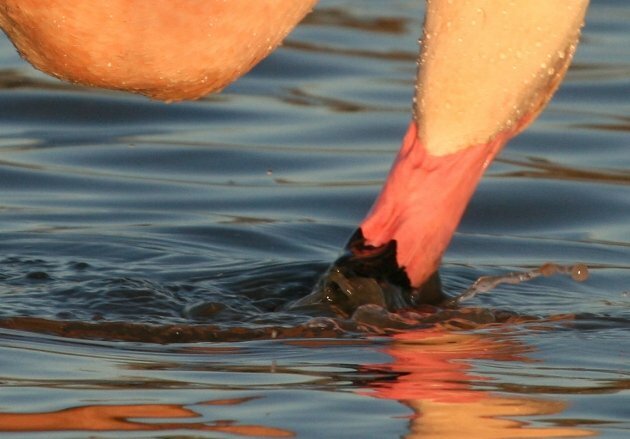 A small pouch below the bill provides the suction and the pressure which is necessary to move the water in and out of the bill. I frankly suspect that a significant amount of black magic is employed in their feeding method as well. I really don’t see how they can separate microscopically small algae and equally-sized shrimps from mud particles unless their tongue can scan each particle for life forms. But allegedly, apparently, that’s what they can do, and have been doing quite successfully for the last 40-something Million years. So I guess I’ll believe it. 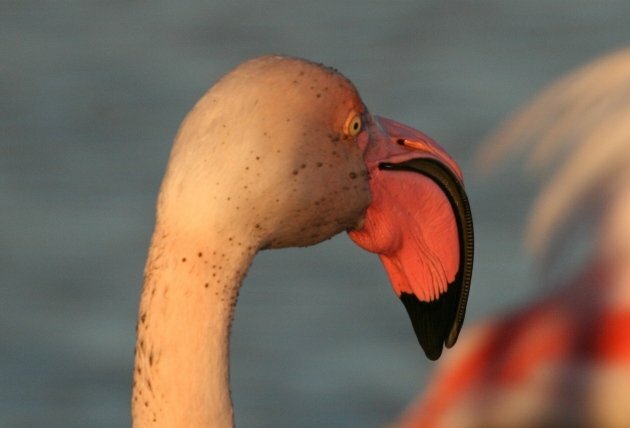 You can see the bill in action on the following images, taken in the Camargue, southern France, in January 2013. 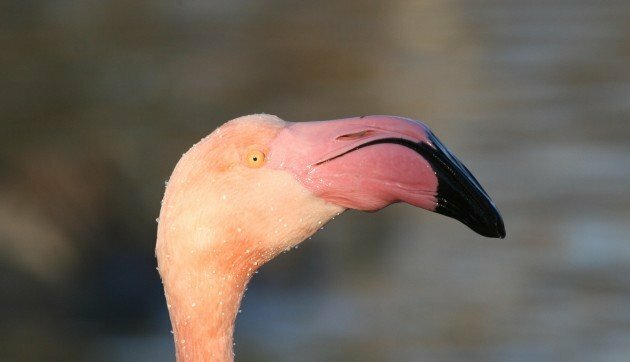 Having such a specialized bill that is adapted to be used upside-down has its downsides when worn downside-up, when the bird is holding its head upright. Luckily they wear their specialized tools with the same pride as the skimmer, giving them a hue of professionality and supremacy. Because if they weren’t, we might consider them odd in a peculiar way. Wow! Amazing photos! 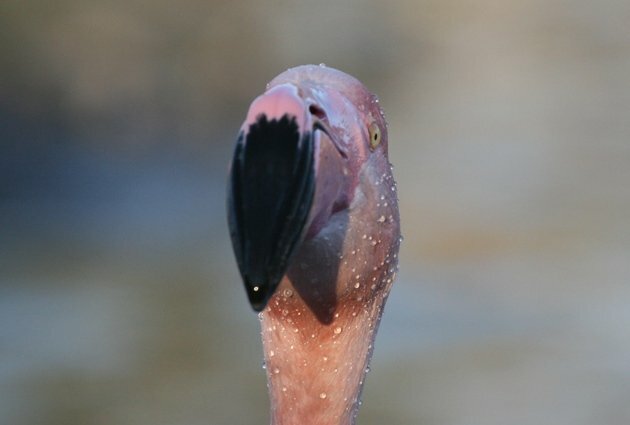 I’ve never been very close to a flamingo, so have never noticed their incredible lamellae. Thanks for a great post!